winner of the Sakharov Prize for Freedom of Conscience of the European Parliament in 2012, who has assumed the defence of notorious personalities such as the Nobel Prize of Peace 2013 Shirín Ebadí or of the opponents arrested during the protests of the Green Movement of 2009. • Recognise the work of people or institutions that have stood out for their merits or relevant services in favour of the rule of law and human rights protection. 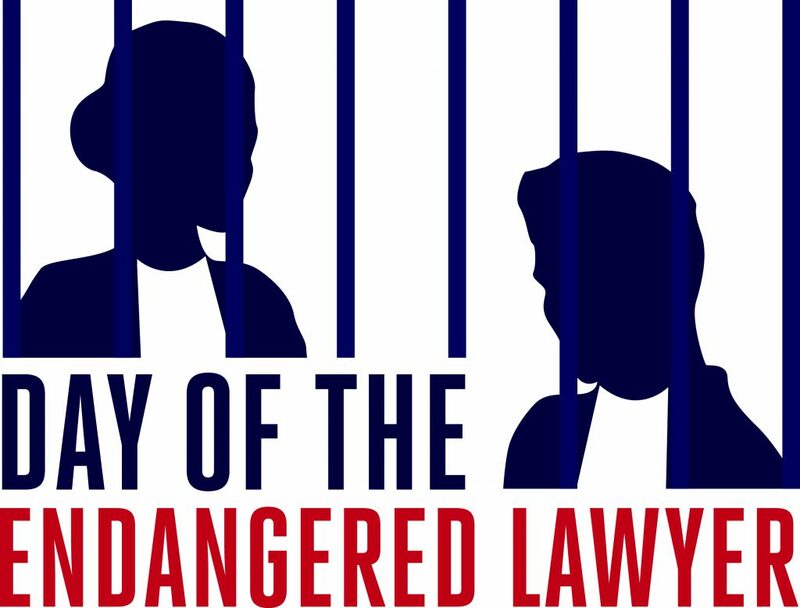 • Express their deep concern about the situation of human rights defenders and lawyers in Iran, who are frequently subjected to arbitrary detention and other forms of harassment, as well as the growing social exclusion of the Iranian Bar Association, to the detriment of legal assistance and a fair trial. in defence of human rights without fear of intimidation, harassment, reprisals and the loss of their own lives. • Express their firm commitment to support all those initiatives promoted in any country in the world for the protection and safeguarding of the exercise of the right of defence that corresponds to lawyers in a State governed by the rule of law, guarantee of the rights and freedom of citizens. 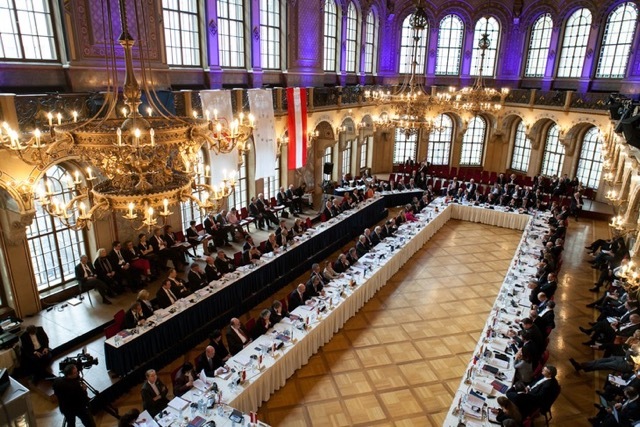 FBE took part at the 47 European Presidents Conference 2019 in WIEN about the defense of the state and the rule of law. 28th February – 2nd March 2019. 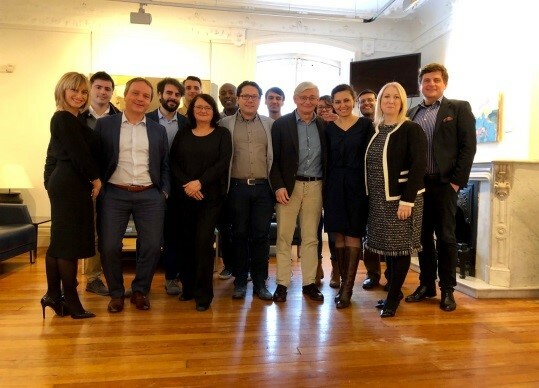 The European Conference of Presidents has become a forum for dialogue in which the elected representatives of European lawyers’ organizations exchange experiences. The “informal principle” of the European Conference of Presidents with a friendly supporting program has proved its worth for more than a quarter of a century in uninterrupted continuity. In addition to the traditional supporting program – with events in the Palais Pallavicini we have to mention the workshop in the Palais Ferstel which is the focus of the Viennese Advokatengespräche. FBE presented a special Magazine containing a report of the 2018 activities (see attached). 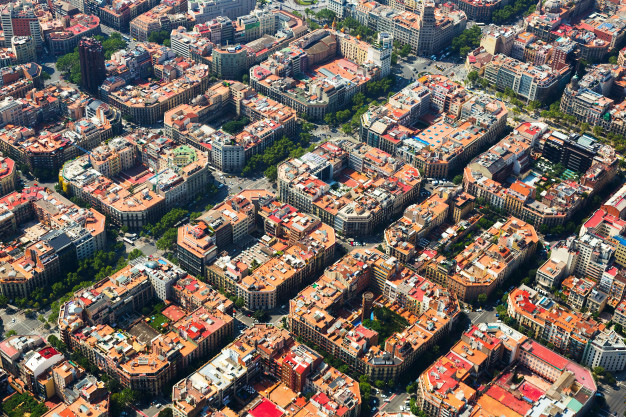 Please book your hotel as soon as possible as May is already high season in Barcelona! 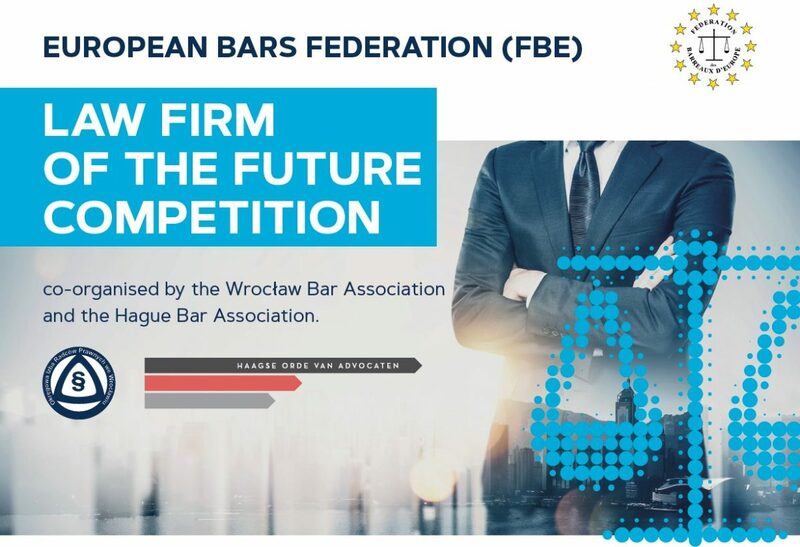 The Wroclaw Bar Association and The Haague Bar Association are organizing the first FBE International “Law Firm of the Future” Competition from 15th January to 12 April 2019. The Competition consists of two stages. During the first stage, the Participants shall submit their presentations concerning changes, innovations and/or proposals related to the development of new technologies in the legal services industry. By 20 March 2019, the Jury shall select a group of a maximum of 10 finalists (“Finalists”) who will take part in the second stage of the Competition. By 12 March 2019, the Jury shall inform the Participants, by means of electronic communication, of the outcome of the first stage by sending the information to the e-mail address provided by the Participants. The second stage of the Competition will take place on 12 April 2019 (Friday) at the head office of the Wrocław Bar Association (Poland). During the second stage, the Finalists will present the subject to the Jury using the submitted presentation. The presentation time shall not exceed 15 minutes. The Jury may ask the Finalists questions regarding the presentation. The purpose of the Competition is to promote and encourage innovative thinking of young students and lawyers at the start of their career in a time where traditional law practise is changing rapidly. Furthermore, the purpose of the Competition is to promote the activities of FBE aiming at implementing new IT solutions among lawyers and to encourage the lawyers to use them in their daily practice. We could help our Colleagues in Turkey that day by demonstrating our support in front of Turkish Embassies all over Europe as well as taking part in many panels/discussions. One of panel was organized by Amnesty International and DAV in Berlin/Germany in Berlin Bar on January 24, 2019 under the tittle :”Turkish cases before the ECtHR”. On behalf of FBE Human Rights Commission and OIRP Poznan Human Rights Commission I celebrated that day with my German Colleagues-Lawyers, there. At 2.00 p.m. there was also a opportunity to take part in the peace demonstration in front of Turkish Embassy in Berlin. We should realize that since the state of emergency in Turkey was declared in 2016, basing on public datas, 1,500 Turkish lawyers have been prosecuted and around 600 arrested. Around 3,000 judges and prosecutors are said to have lost their posts. In addition to journalists and opposition politicians, the lawyers are in the sights. Mr Stefan von Raumer (Human Rights Committee DAV Berlin) – a lawyer specialized in international human rights law, co-editor of an ECHR commentary led the mentioning panel, I was part. The panelist Mr Ümit Kılınç (human rights lawyer at the European Court of Human Rights (ECHR) in Strasbourg) said at the meeting that one could roughly make out three groups among the threatened lawyers. The danger attaches to the clients who are represented. Affected are clients from politically left circles (1), Kurdish clients (2) and followers of the Gülen movement (3). He gave the lever for prosecution of lawyers in Turkey as Article 301 of the Criminal Code, which criminalizes the public downsizing of the Turkish nation, state or government, as well as judicial bodies. He also stressed that there is little trust among the lawyers in Turkey in the justice system. The last hope is still the Turkish Constitutional Court, but also threatens to be ignored in important decisions by the courts of the courts simply (there was an open showdown in early 2018 because a criminal court had refused to release two journalists). In his opinion as in many other, the ECtHR was a great hope for number of people, including lawyers in Turkey – but their confidence is dwindling. The ECtHR sees tens of thousands of cases coming from Turkey and has so far regularly rejected complaints, and instead referred the complainants to the exhaustion of national remedies. Mr Stefan von Raumer explained he believes that the rigorous handling of the Court eligibility requirement has led to a permanent overburdening of the Human Rights Court since 2011. He also stressed that the ECtHR would only be prepared to break its stringent admissibility requirements if a complaint authority in a state exists only theoretically but not practically (for example, the ECtHR had accepted this for cases from Serbia, even though there was a complaint authority, but it did not apply to certain legal acts). In the opinion of many, Turkey must restore the rule of law, release still-detained magistrates and journalists, and lawyers, restore the rights of teachers and magistrates ( judges and prosecutors) who have resigned from July 2016, restore freedom of press and information, end the state of emergency and fully implement the European Convention on Human Rights. The theme of the 2018 colloquium was “Democracy in the EU“. 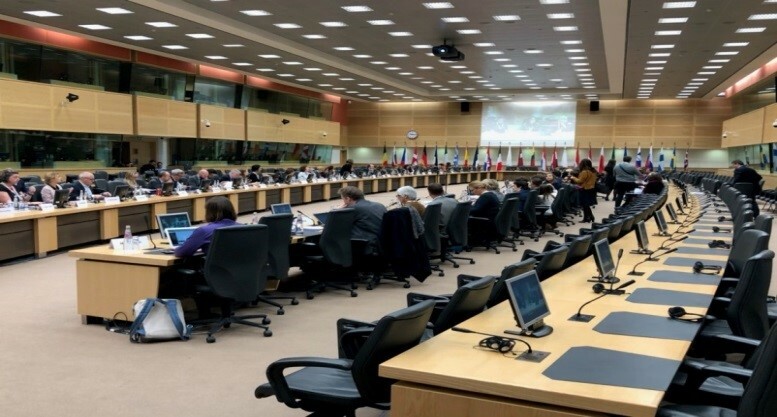 The Opening Speech at the Annual Colloquium on Fundamental Rights in Brussels/Belgium was done by Mr Frans Timmermans, First Vice-President of the European Commission. In some words he presented the main subject as a fundamental right and the rule of law, one of three pillars which shall forever anchor the European Union. He wished the participants great discussions to highlight the role of political parties, civil society, organizations, platforms and other stakeholders in mobilizing citizens. I was one of them. 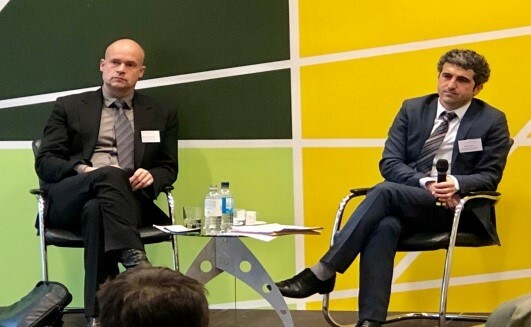 The Colloquium aimed to reaffirm that Democracy is a central value common to the European Union and all its Member States, and looked at how to renew democratic engagement within the European Union and the European societies. This debate was timely also in the context of the upcoming European elections and on the occasion of the seventieth anniversary of the Universal Declaration of Human Rights. At the Colloquium as well as at the panels and parallel sessions we all worked together to identify avenues to foster free, open and healthy democratic participation in an era of growing low turnout in elections, populism, digitalisation and threats to civil society. 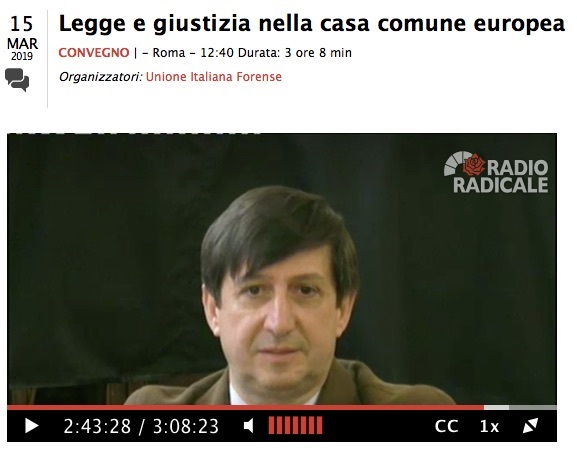 Free and fair elections and an informed and pluralistic democratic debate. Of course among participants there was also a great time to discuss one to one some of those topics. I do recommend to everyone if it would be possible to take part in the next 2019 Annual Colloquium on Fundamental Rights.